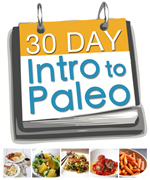 Paleo Triad - PaleoTriad.com is live! I've been working on this website off and on since the beginning of the year. I finally have it online and operational. This site was born out of necessity for myself, initially. When I first began a Paleo Diet I figured I would be alone in this venture and I would have a hard time finding what I needed in this area. I turned out I was very wrong. All I knew was Whole Foods, Fresh Market, and trying to do my best with other grocery stores. I started looking online and found a couple farms nearby which brightened my spirits and then I made a trip to both Dixie Classic Farmers market and Cobblestone Farmers market. From both of those places I learned about other farms nearby, what foods their animals were eating, and how to successfully source what I needed to maintain a Paleo diet. My network grew and I wanted to share it with others that may have a hard time finding places for themselves. Plus I wanted to help out the local businesses and point some people in their direction to support eating fresh, local foods. The restaurants listed may or may not be exactly Paleo and in fact it's probably unreasonable to think that restaurants will cater directly to our Paleo needs. I have been in communications with a few and I have listed as many that I can currently find in the Triad offering locally sourced foods. Diamond Back Grill in Winston is probably the only place in the Triad offering strictly Paleo items on their menu but don't dismiss the other eateries, just always ask the wait staff about cross-contamination or procedures used when cooking items to avoid any issues. Since Paleo seems to go hand-in-hand with CrossFit I decided to also include as many of the CrossFit locations across the Triad. So for the cavemen and cavewomen out there wanting to push and pull heavy things, the Triad has a surprising growth of local boxes available. As with any diet, we may need help dialing things in with blood tests, advice, or other medical features that we may not have available in our homes. For that I am including integrative health centers, naturopaths, and any other health professionals that I feel understand the Paleo diet, avoids drug dispensing unless it's a last resort, and actually works towards healing instead of slapping a band-aid on a symptom. Lastly, for those that cannot seem to find exactly what they're looking for I have added a number of online resources to order items. Two of them are local delivery systems, Backyard Produce and Piedmont Local Foods. I hope this website proves to be useful. If you find that something was missed from the site, there is a submission form at the bottom. I would be glad to add to this directory as long as it meets the requirements for being Paleo-friendly. I know I have missed a few places so I encourage items to be sent to we can get a complete resource built. It not only helps those seeking this lifestyle but it also helps our local farmers and businesses.